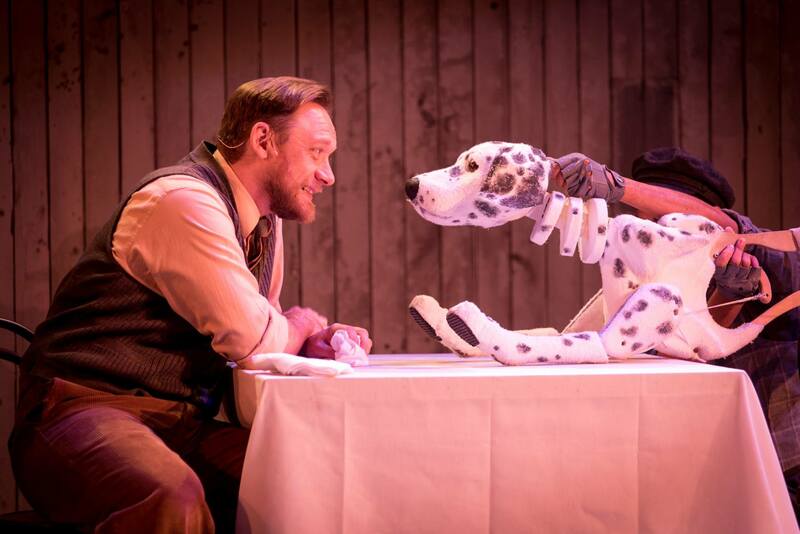 The Birmingham Rep couldn’t set themselves a bigger challenge than creating a Christmas show that features 101 dogs, but they’ve managed to pull it off with their superb musical production of 101 Dalmations. The imaginative production tells the story of the classic tale we all know and love through remarkable storytelling. With the use of puppetry, the dogs are full of character and the way director Tessa Walker has brought them to life is truly magical. When owners Mrs and Mr Dearly (Nadi Kemp-Sayfi and Morgan Philpott) meet, their Dalmatians instantly fall for each other too creating the perfect little family. Dalmatians Pongo and Missis, played by Oliver Wellington and Emma Thornett are very much in love and soon learn they are expecting puppies. The whole family are surprised to find Missis gives birth to fifteen pups, and then evil Cruella de Vil is suddenly attracted to visiting the house in order to take a peek at the puppies. With the idea to create a huge dalmatian fur coat, she sets her two evil sidekicks the Baddun’s on a mission to kidnap all the Dalmatian dogs. Gloria Onitiri’s portrayal of Cruella de Vil is entirely commanding. Onitiri’s expressive characterisation brings an abundance of personality to the role and creates a sublime evil villain who will stop at nothing to get what she wants. Onitiri grips the attention of everyone with her powerful vocals and strong stage presence. Opposite her as a calming influence and humble husband is Jo Servi as Horace de Vil who supports Cruella’s evil wishes. However, of course it’s the Dalmatians that steal the show. The inventive puppetry is gracefully designed and used beautifully to give each of the dogs distinct personalities and personal traits. 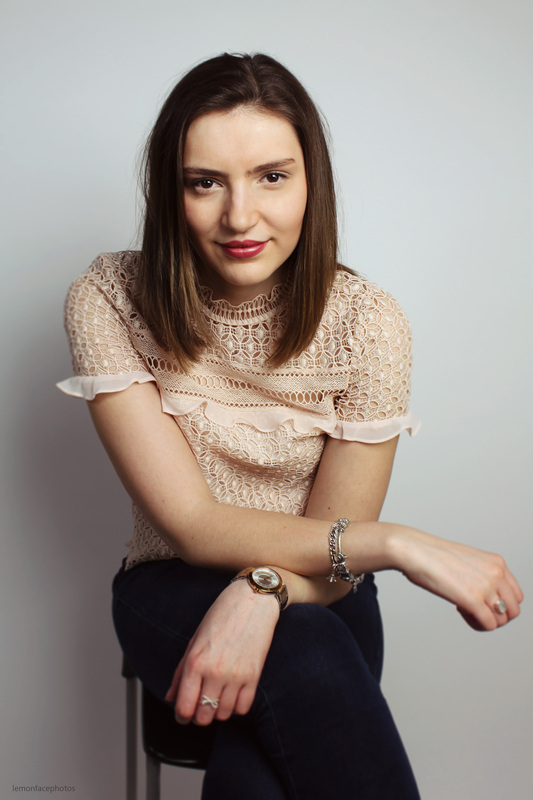 Whether it’s the sophistication of Missis and Pongo, the selflessness of the kind-hearted Perdita, sweetness of Lucky or cheekiness of Patch, the puppetry is performed by the ensemble of actors with animated characterisation and flair. It is a clever idea that is depicted wonderfully on stage. Designer Jamie Vartan has excelled himself with his creative designs that still leave a little room for imagination – completely enthralling the kids (and adults) in the audience. The first act felt a little slow but the pace soon picked up in the second act as it managed to tug on all of my heart-strings. The score is nice and the live band bring a huge amount of energy to the production. 101 Dalmatians is a charming production that boasts beautifully crafted storytelling guaranteed to warm your heart this festive season. On at the Birmingham Rep until January 13th, tickets and information can be found here.